I've had this file on my desktop for some time, I've been wanting to write about it for ages, but didn't know how to start. I can't wait for inspiration to call any longer, so I'm just going to jump in. The document is Healthy Weight, Healthy Lives: Directory of Obesity Training Providers (.pdf, 1.4mb). It's produced by the British government's Department of Health to support their anti-obesity activities. Incidentally, the rest of the supporting publications for Healthy Weight, Healthy Lives should also be required reading for fat activists. It's really interesting to see the rationales behind the government's anti-obesity marketing, and to see where the your and my money is going. The stuff that's getting funded really is a monumental pile of cack, anything would be better than this. I think it would be possible to get money for other kinds of projects, especially HAES work, if there are any savvy people in the house who want to have a go at subverting the dominant paradigm for quids. I'm fascinated by official, scientific, knowledge and truth claims about obesity. By this I mean the kind of things that we all know to be true of fatness. I'm resisting putting 'know' and 'true' in scare quotes, but they're there anyway! This is the truth that's held sacrosanct, that is beyond criticism because it just is, and which has the support of pretty much everyone. When I look at this list of training, including accredited postgraduate academic qualifications, I realise that I'm looking at the systems which replicate these forms of unquestionable truth. I'm particularly interested in the listing for the MSc in Weight Management at the University of Chester, which seeks to instill in its students "a critically and theoretically informed, reflective and multi-disciplinary approach to the academic study of, and professional practice relevant to, weight management." Yet no critical perspectives on obesity are present here, or in any of these syllabi. What might it be like to be a student or a teacher on a course like this? I feel stifled and angry just reading the course description. Perhaps there would be opportunities for disruption, or for sneaking things in under the radar, but it still seems extremely inadequate. You'd never know about Fat Studies, or Health At Every Size, or fat activism, if you went and did one of these courses, whole universes of information would be absent. Yet you would still be recognised as an expert in Obesity, or Weight Management, despite the critical limitations of your education, and perhaps you would go on to pass on your expertise to others. My knowledge of pedagogy, the way that things are taught, is also limited. Jacqui Gingras, Julie Guthman and Susan Koppelman have written about the process of bringing critical discussions of obesity to university classrooms. I would love to see more accounts, particularly those which expand fat pedagogy beyond the university, or North America. I understand that there is a body of work which criticises schools-based anti-obesity policy in the UK, but I'm also looking for material which provides practical clues for possible interventions. 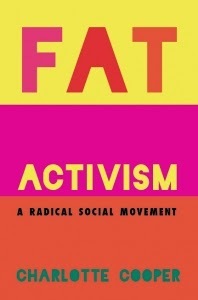 All this has led me to reflect on how one might go about teaching people to be critical about fat, or to be good advocates for critical approaches to fat. I can trace how I learned what I know back to a handful of books, some encounters with people and organisations, and a lot of experience that apparently had nothing to do with fatness at the time and only revealed its relevance much later, none of which occurred during any classroom session. I'm learning a lot more in classrooms now, at university, but the basics of how I understand fatness were in place long before I got to this point. 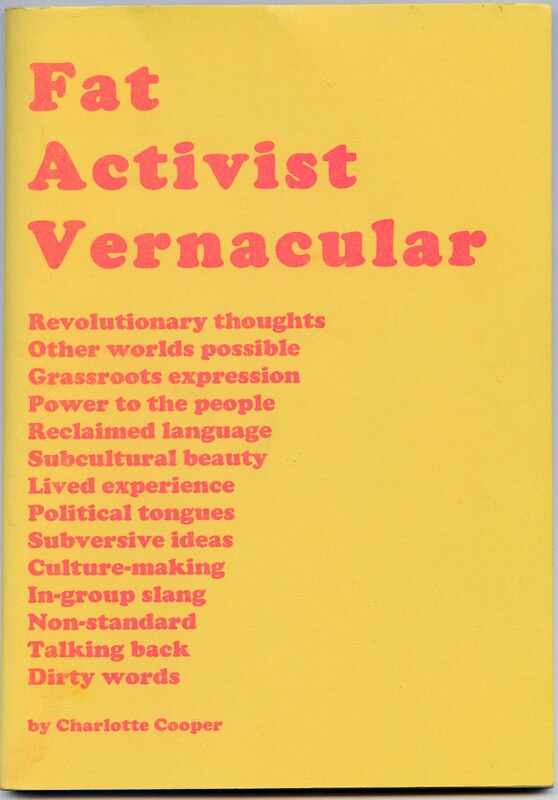 So where might such radical fat pedagogies take place? It's hard to imagine a university classroom in 2010, with all of its shortcomings, being the place where people become radicalised. Is rad fatness teachable? I sometimes do fat workshops at LadyFests and other DIY-style gatherings, and this seems to be a good place to start thinking about fat, but are there others too? How could this be developed? Gingras, Jacqueline Rochelle (2009) Longing for Recognition: The Joys, Complexities, and Contradictions of Practicing Dietetics, York: Raw Nerve. Guthman, Julie (2009) 'Teaching the Politics of Obesity: Insights into Neoliberal Embodiment and Contemporary Biopolitics', Antipode: A Radical Journal of Geography, 41: 5, 1110-1133. Koppelman, Susan (2009) 'Fat Stories in the Classroom: What and How Are They Teaching About Us? ', in: Rothblum, E. & Solovay, S. (eds.) The Fat Studies Reader. New York: New York University Press, 213-220.